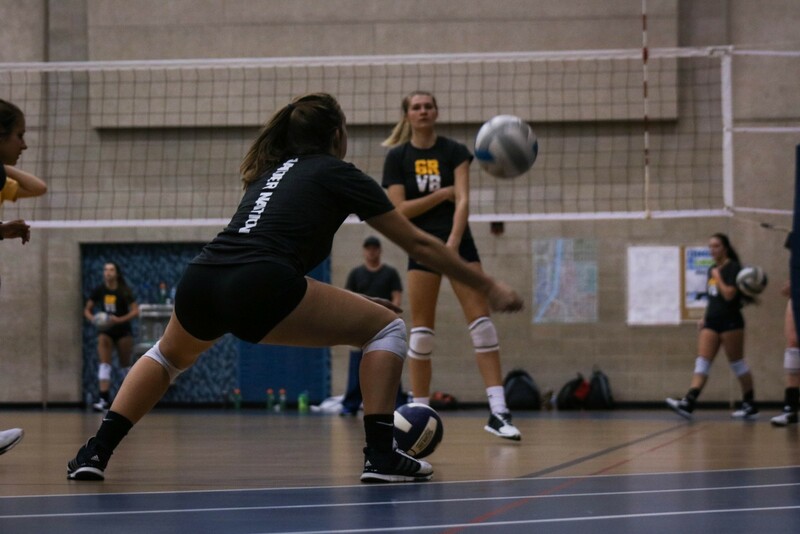 Sophomore Defensive Specialist Kylie Frank in practice, working on her spike. 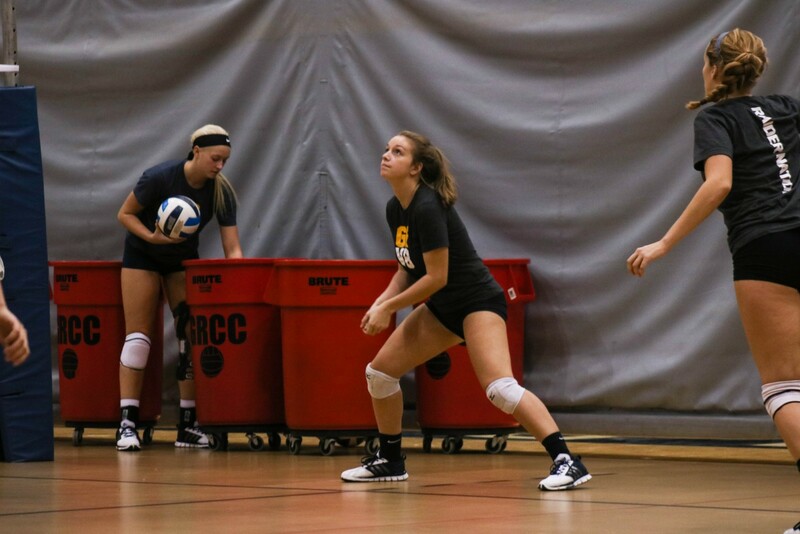 Sophomore Defensive Specialist Kylie Frank practicing her bumping while in practice. 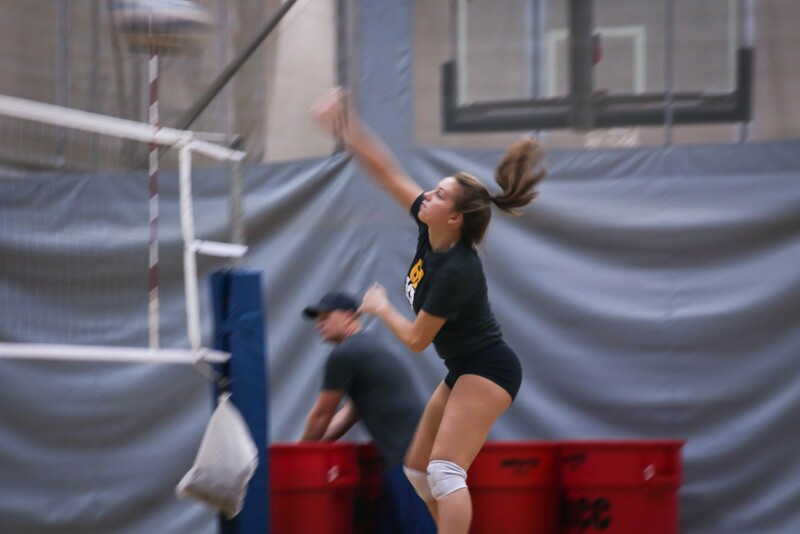 Sophomore Defensive Specialist Kylie Frank uses her quick reflexes to bump the volleyball in practice served from Sophomore Outside Hitter Rylee Storms. 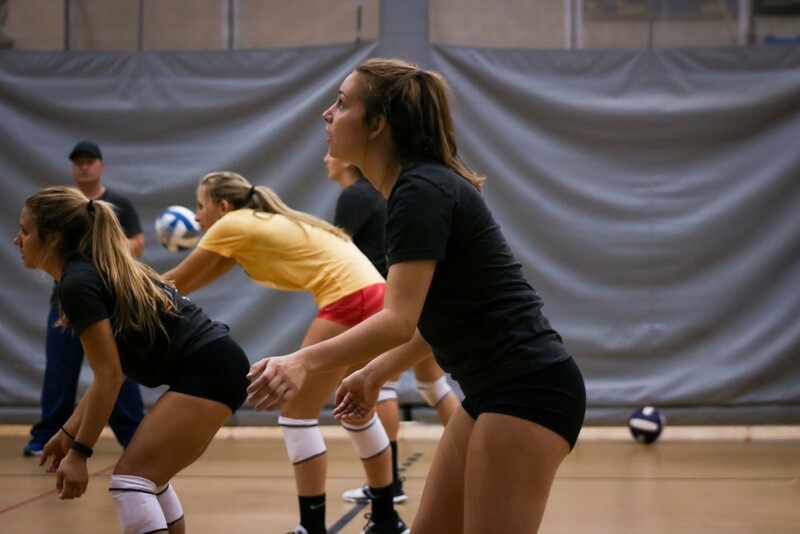 Sophomore Defensive Specialist Kylie Frank focused and preparing to practice her setting in practice. 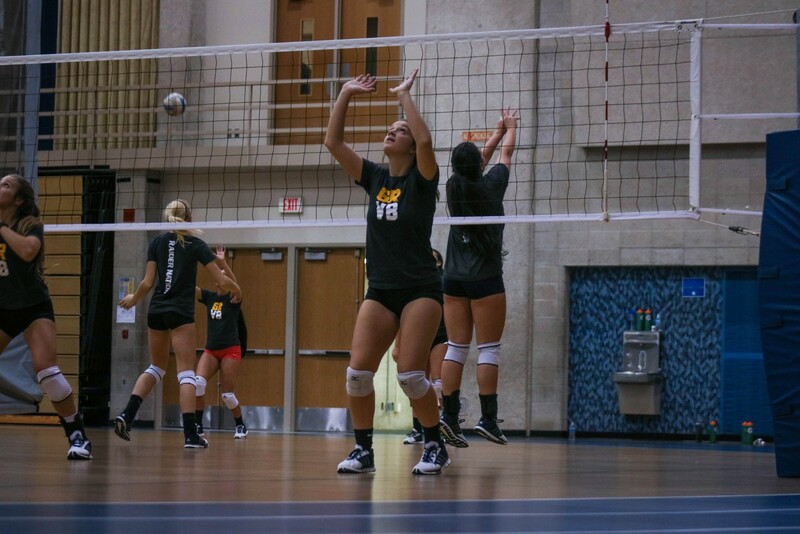 Sophomore Defensive Specialist Kylie Frank continuing to perfect her bump in practice. 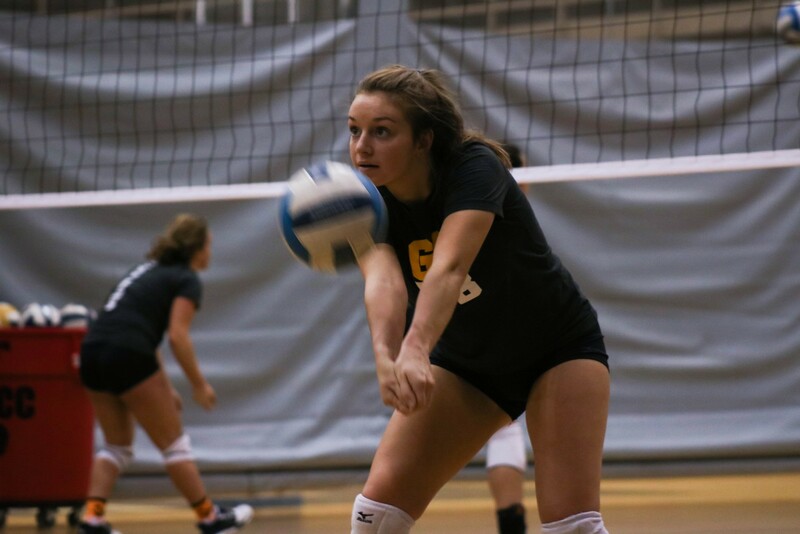 Sophomore Defensive Specialist Kylie Frank practicing her bumping. Kylie Frank anticipating an incoming spike from teammate Rylee Storms during practice. 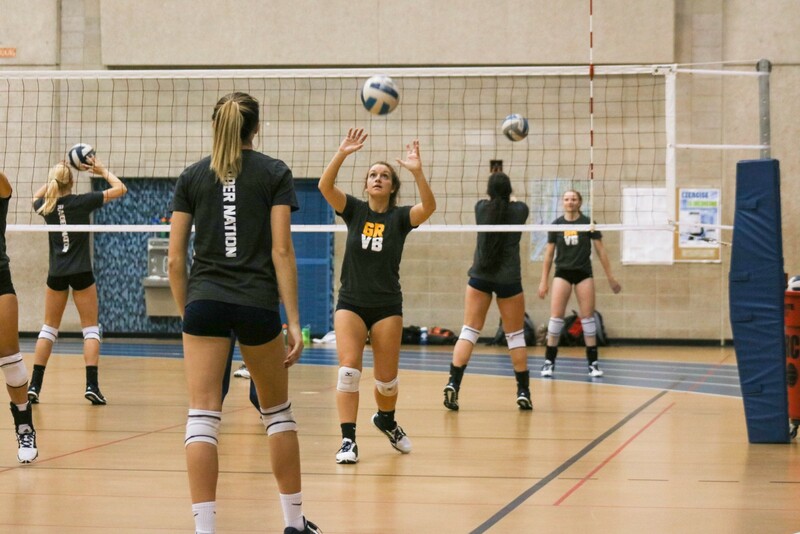 Sophomore Defensive Specialist Kylie Frank among other GRCC volleyball players practicing. 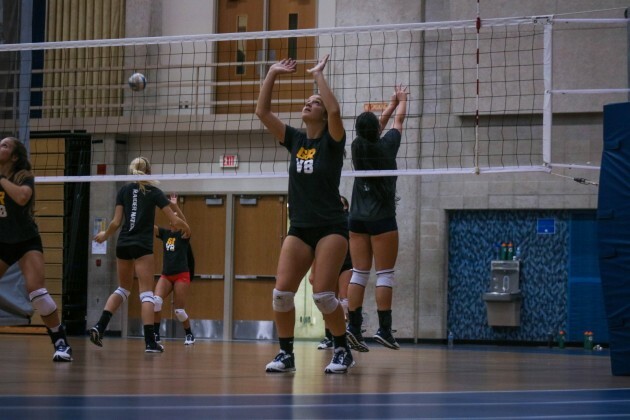 Kylie Frank is a second year volleyball player at Grand Rapids Community College. She plays under head coach Chip Will, and assistant coach David Rawles. 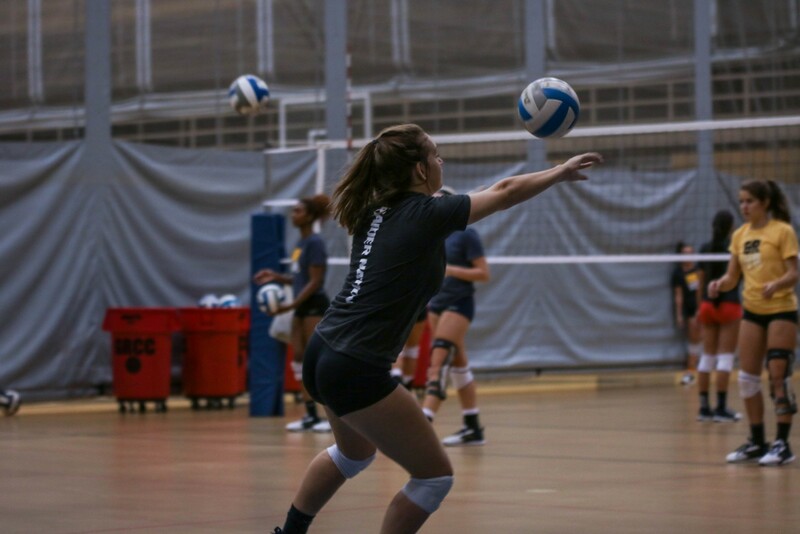 Frank is a setter and Defensive Specialist. Currently, Frank is taking 14 credits, spending all of her free time either studying or playing volleyball, the sport she loves. Volleyball for the Raiders is five days a week, whether it be a game, practice, or a tournament. It’s hard to balance your time as a student athlete. We know, as students that homework is important, but not many of us know what it’s like to entertain a rigorous game, and still go home with the energy to spend two hours behind a computer screen. 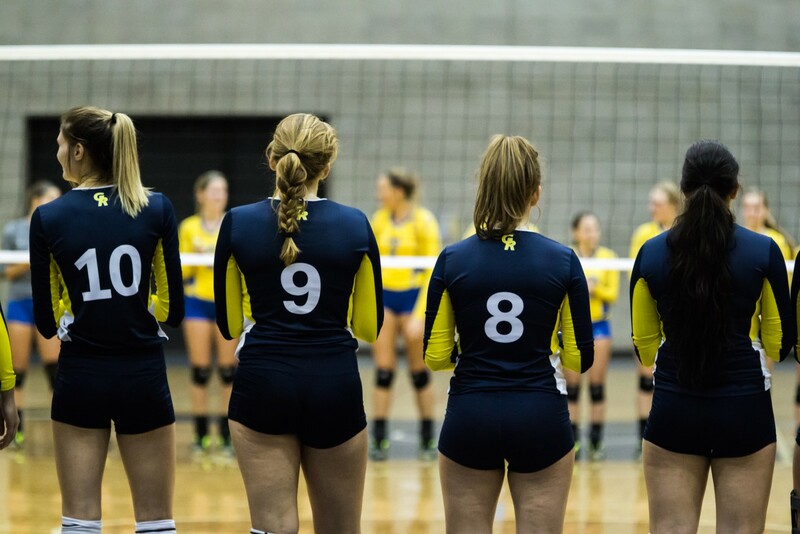 [/media-credit] Kylie Frank,#8, from the Muskegon game earlier this year, with teammates on her right and left, waiting to start the game. “Getting home after a game is hard because let’s say you have a test the next day. You’ll want to go to bed because you’re so tired, but you’ll have to stay awake so you can study.” said Frank. “There were so many athletes in high school, and now there’s only a select few of us.” said Frank. “It was easier for high school athletes to get their studies done. Now professors don’t know who we are, they don’t know what is difficult to be assigned on each day.” she said. “I feel like high school teachers knew who we were, and they would be fine if some things were going to be late. College professors are more strict on that, I’ve noticed.” Frank said. “Now that I am here, on a team, it’s basically like a family, I know a bunch more people.” Frank said. [/media-credit] Kylie Frank, #8, with Janie Bunge, #1, during the Muskegon volleyball game. Both are celebrating winning a crucial point in the fourth set. A support system is key when you’re an out of town student athlete. “My family comes to every game and I get to see them.” said Frank. “My parents always push me to keep up on my studies.” she said. 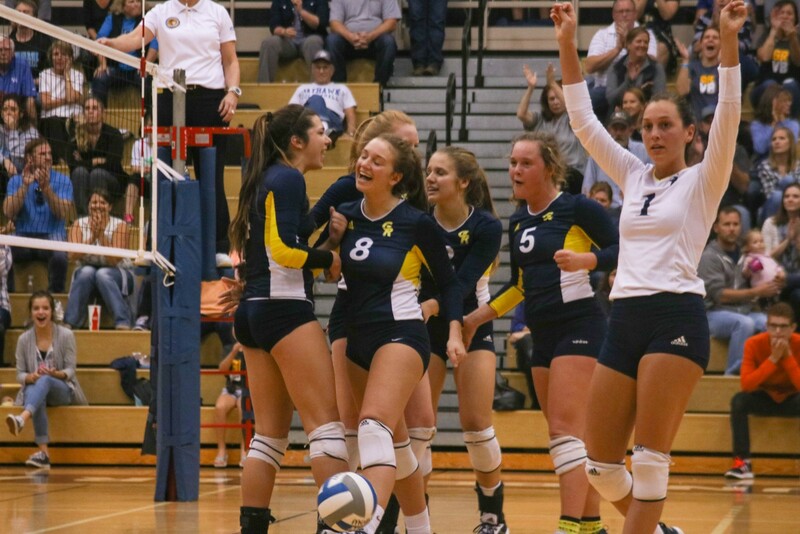 “Volleyball basically takes up the whole three months when you’re in season.” said Frank. As a two season athlete you learn with each year, to better balance school, sports, and a social life. “Now this year, I do know better to stay up late, so I can do better on that test, because it does help in the long run.” said Frank.